The company has a state of the art Manufacturing Unit backed with cutting edge technology which makes it doubly sound for the manufacturing world's most sought after medicines. Situated in the pollution free area at Focal point, Tibba, Dist. 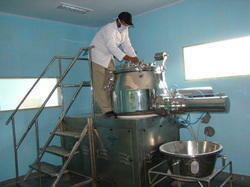 Ludhiana, Punjab, India, is well equipped with the latest equipment. 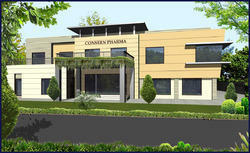 The Manufacturing plant is spread across a built up area of about 21,000 sq. feet & has been especially designed as per WHO-GMP guidelines. There are altogether two Tablet sections for manufacturing non Beta-Lactam tablets as well two capsule sections for manufacturing Beta-Lactam & Non-Beta-Lactam capsules. The entire unit is equipped with all the necessary sophisticated machines & equipment to produce high quality, safe and reliable pharmaceutical products. The working arrangement of the equipment is orderly and unidirectional to prevent any contamination & cross-contamination. The major equipments used in production area are: R.M.G., Roll Compactor, Oscillating Granulator, Rota cube blender, Commuting mill, Colloid mill, Roll-compactor, F.B.D., Single rotary, Double Rotary, Shrink packing m/c, Blister packing m/c etc. Capsules : About 40,000 Capsules per shift.